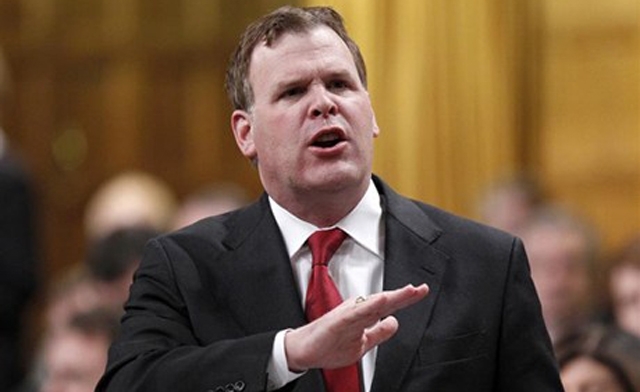 On a stop in Jerusalem during his visit to Israel and Palestine earlier this week, Canadian Foreign Minister John Baird emphatically declared that, in joining the International Criminal Court (ICC), Palestinians had “made a huge mistake”. Baird’s remarks coincided with those of his Israeli counterpart, Avigdor Lieberman, who called into question the very existence of the ICC and pleaded with Israel’s Western allies (including Canada) to stop funding the Court. As a Canadian concerned with Canada’s place in the world, the government’s disdain for international justice has inspired numerous posts (see here, here and here) where my passion may sometimes get the best of me. 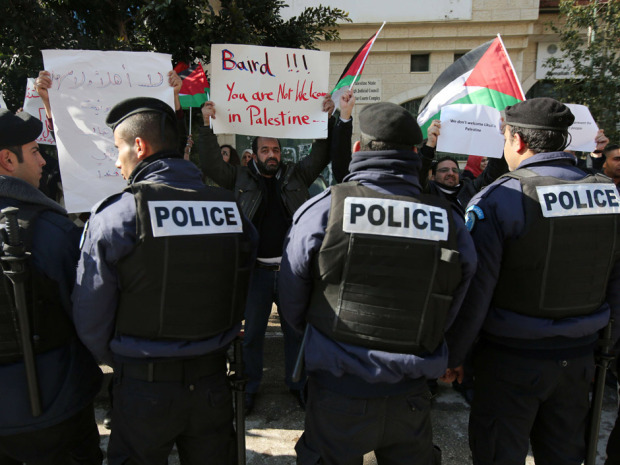 And while the Canadian government’s opposition to Palestine joining the ICC as well as its ambivalence towards international criminal justice is nothing new, Baird’s latest statements take the proverbial cake. A key aspect of Israel’s offensive against the ICC (which will now include an attack ad campaign against the Court and Chief Prosecutor Fatou Bensouda), is that Israel is the “last” defence against a wave of terrorism besieging the Middle East. Israeli Prime Minister Benjamin Netanyahu has taken to distorting reality (and the law) by insisting that Israel has been taken to the ICC by Hamas when it is, in fact, more likely that Hamas and other Palestinian groups will face the primary brunt of ICC scrutiny. The Israeli Prime Minister has also consistently mocked the Court, describing its decision to open a preliminary investigations into alleged crimes in Palestine as “absurd” because the ICC refuses to investigate alleged crimes perpetrated in Syria. This position is patently absurd. First of all, the ICC is barred from intervening in Syria because of the inability of UN Security Council states to reach a consensus on referring the situation in Syria to the Court – and not because of any lack of interest within the Court in investigating crimes in the Syrian civil war. Secondly, of all Western states, the Canadian government was the longest hold-out against referring Syria to the ICC and has not done anything of note to support criminal accountability in the country. It makes little sense for Netanyahu to blame the ICC for its non-intervention in Syria whilst standing shoulder-to-shoulder with the Foreign Minister of a country which refused to support an ICC intervention into Syria in the first place. The worst part of Baird’s message is that, for its pursuit of accountability for alleged crimes committed on the state of Palestine (again, by both Palestinian and Israeli groups), the Foreign Minister threatened that Palestinians had crossed a “red line”. The invocation of this phrase in the context of injustice and terror, recently made notorious by US President Barack Obama in the wake of the chemical attacks on Syrian civilians, is chilling. Intentionally or not, Baird drew moral equivalence between the cold blooded murder of thousands civilians in Syria and the popular desire amongst Palestinians, borne as much out of frustration as anything, to make justice and accountability a part of the conversation regarding their political future. Most likely his comments were made with the explicit aim of fitting in with the Israeli government’s soon-to-be-unleashed media campaign against the Court. Indeed, it would not be surprising if footage of Baird is featured prominently in order to discredit and undermine the Court. You [Baird] know that it’s a travesty of justice to haul Israel to the dock in The Hague, and you know that the entire system of international law could unravel because of this travesty. I thank you for your support and for your moral leadership, and I pledge this to you: Israel will not have its hand tied by a politicized ICC. The Canadian government’s blistering anti-ICC rhetoric makes the US’s reaction, which has been to declare that Palestine isn’t a state and therefore can’t legally join the ICC, appear timid and meek. Baird’s message to Palestinian lawmakers and, by extension, to the people of Palestine, was that they shouldn’t pursue justice and don’t deserve accountability. What they get is what the Harper Government, Israel and the US are prepared to give them and nothing more. Decisions aren’t to be made in Ramallah or Gaza. Rather, decisions on what justice and what peace they deserve will be made for them in Tel Aviv, Washington and Ottawa. With a message like that, it is little surprise that Palestinian protesters met Baird’s delegation in Ramallah with a lobby of eggs and shoes. It has often been said that the first casualty of war is the truth. It may also be the first victim of international criminal justice in Palestine. This entry was posted in Canada, International Criminal Court (ICC), International Criminal Justice, Israel, Palestine, Palestine and the ICC and tagged John Baird. Bookmark the permalink.